How does your marketing plan look? 2018 is already under way. 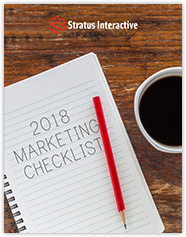 An integrated, goal-focused marketing plan is the roadmap that will keep you focused on the activities that matter most this year. 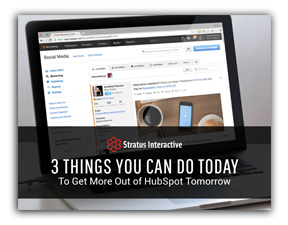 Learn why so many businesses are adopting HubSpot to create effective marketing and sales campaigns and surpass their revenue and growth goals. 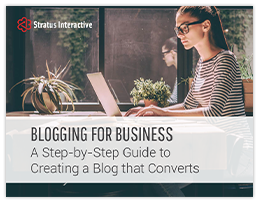 Find out the top reasons why you need to start a business blog and how a blogging strategy can help you generate leads. 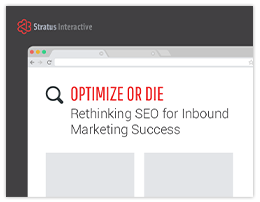 Our experts demystify SEO and teach you the best practices so you can optimize your website for search engine success. Build it and they will come. If only this was the case for your website. 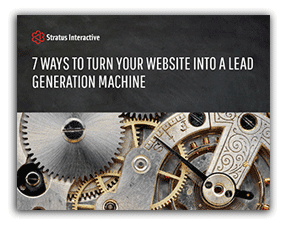 Learn how to supercharge your lead pipeline. 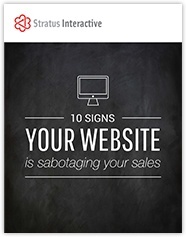 Inbound marketing can be overwhelming! If only there was a place where all marketing initiatives lived under one roof. 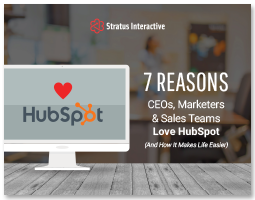 Oh wait; there is: HubSpot. 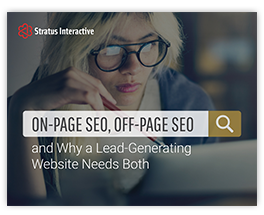 There’s no magic formula for overnight SEO success, but there are proven ways to amplify online visibility and even secure the #1 position on Google and other search engines. 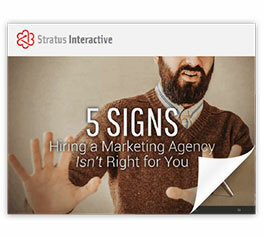 Is hiring a marketing agency the right thing for you? These 5 signs will make you think twice. 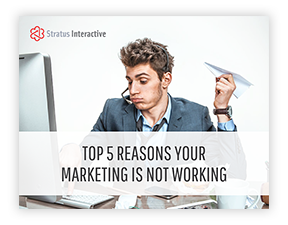 Want to find out why your marketing is not working? Check out 5 reasons which detail fixes you can implement immediately. 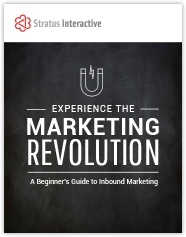 Get a glimpse inside the proven inbound methodology and learn how to create a winning inbound marketing strategy. Don’t settle for just any agency. 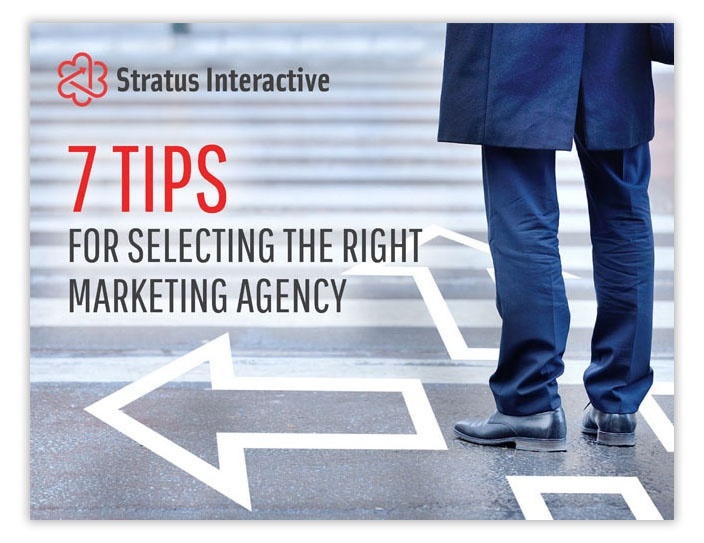 Check out these 7 tips on choosing the right marketing agency for you. A New Approach On Website Design! 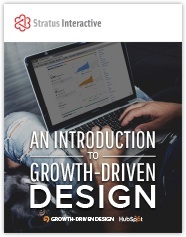 Download Your Guide Before Your Next Meeting With A Design Firm! 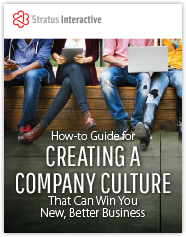 Take a look inside Stratus’ company culture and learn how to develop a culture that wins new, better business. 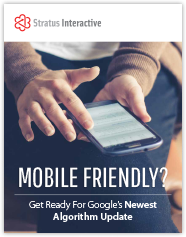 Learn what you can do to optimize your website for mobile. 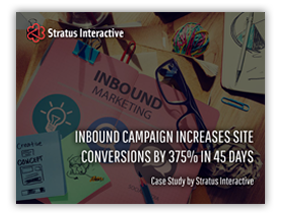 Learn how Stratus Interactive helped increase lead conversion rates by 345% in just 45 days! Want to get featured on SlideShare? 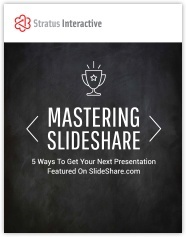 Follow these five expert tips, and watch your SlideShare rise to the top! 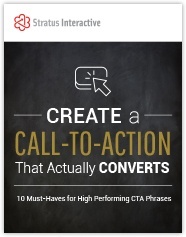 With these 10 proven characteristics, you will learn how to dramatically increase your visitor-to-lead conversions.